PSC exam will be held at the end of class VIII from 2017. There will be no PSC exam at the end of class V anymore. 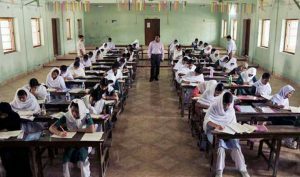 Primary and Mass Education Ministry has taken the decision to place PSC exam at the end of class VIII as Primary Education was extended up to class VIII. All activities up to class VIII will come under Primary and Mass Education Ministry. However, this year PSC exam will be held at the end class V and JSC exam will be held at the end of class VIII.